Photo courtesy of Jessica McKay, Public Affairs Manager for Greenspring (Springfield, Va) and Ashby Ponds (Ashburn, Va) retirement communities. 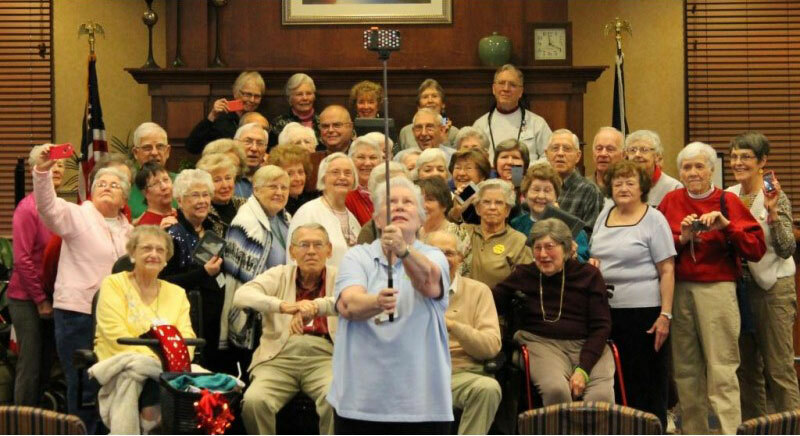 To paraphrase Cyndi Lauper, “Seniors just want to have fun!” Ashby Ponds retirement community proves it with over 130 resident-run clubs that keep these seniors moving and active in everything from attempting the world’s largest #SeniorSelfie to surprising Dulles Town Center shoppers with a flash mob [VIDEO] in Northern Virginia! Group of 25 senior citizens from local retirement community surprised crowds with choreographed moves! Senior relocation is near and dear to My Guys’ heart. As a preferred vendor of Ashby Ponds, senior moving company, My Guys Moving & Storage, has performed over 50 senior moving services since the facility opened over six years ago, and we continue to help families as they make this delicate transition to this day. For more details on the largest senior selfie ever, read Jessica McKay’s article. 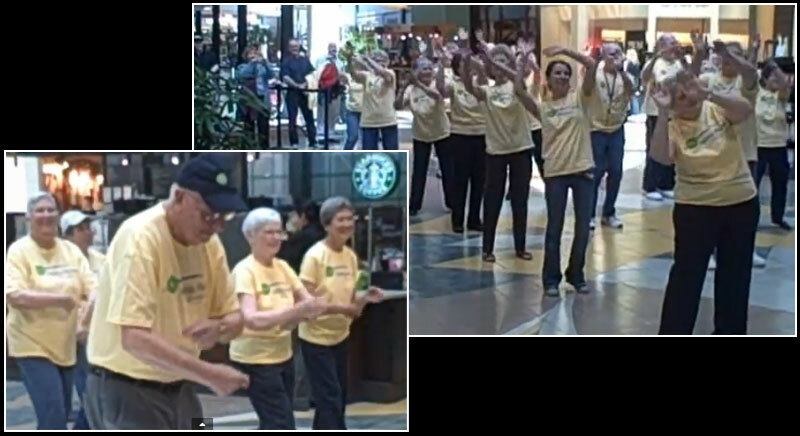 Check out these senior moves in a flashmob at Dulles Town Center, VIDEO by WTOP’s Amy Hunter.